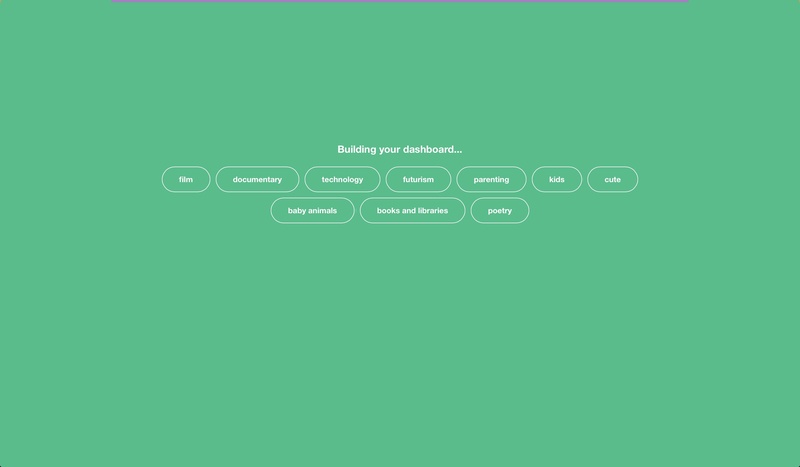 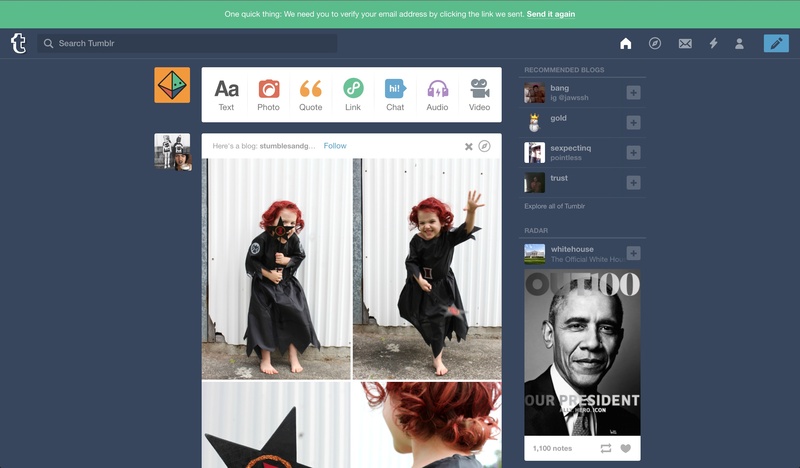 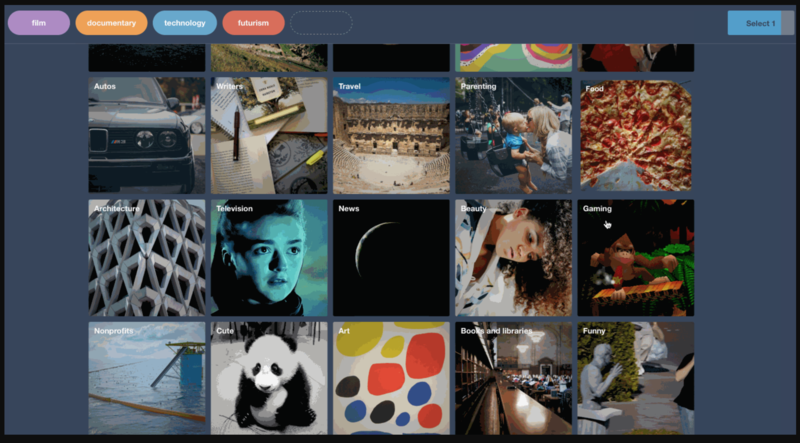 Tumblr’s new user onboarding experience focuses on key UI elements for engagement. 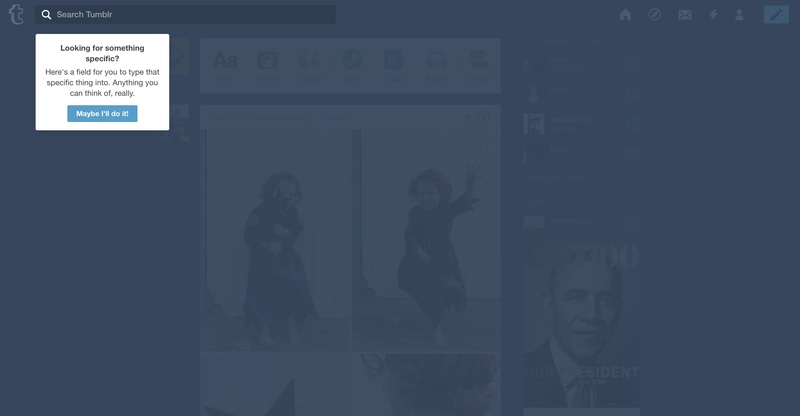 Tumblr’s walkthrough requires users to click ‘next’ to advance each tip. 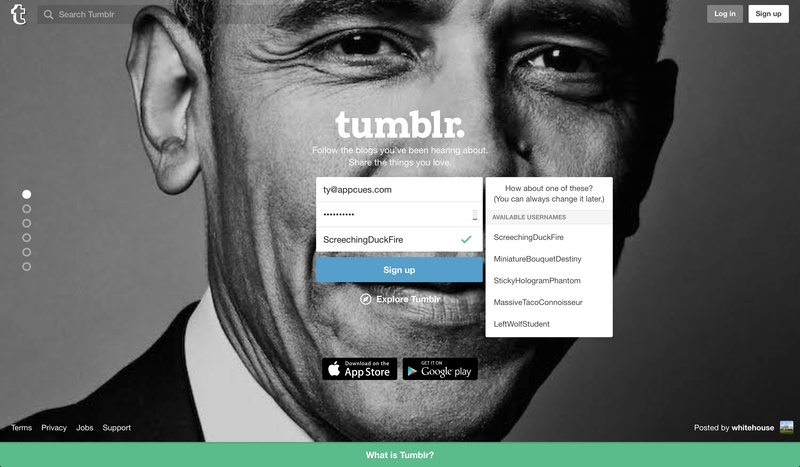 This approach works well to drive engagement with the platform—there’s no setup involved. 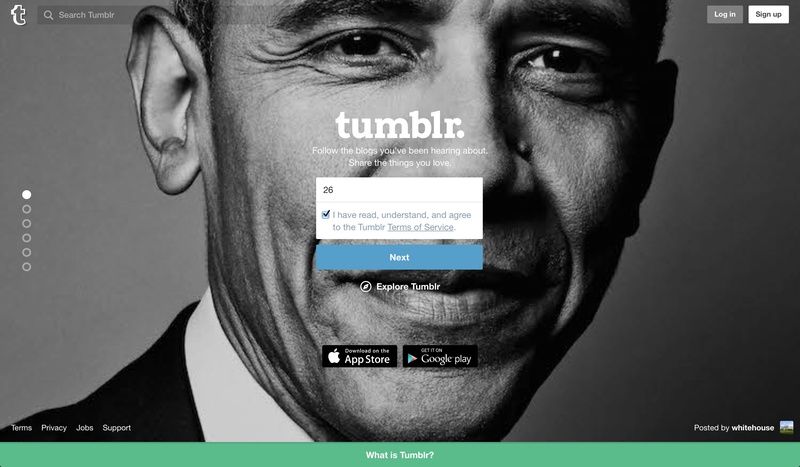 Tumblr animates elements of their product to burn a deeper desire for users to engage. 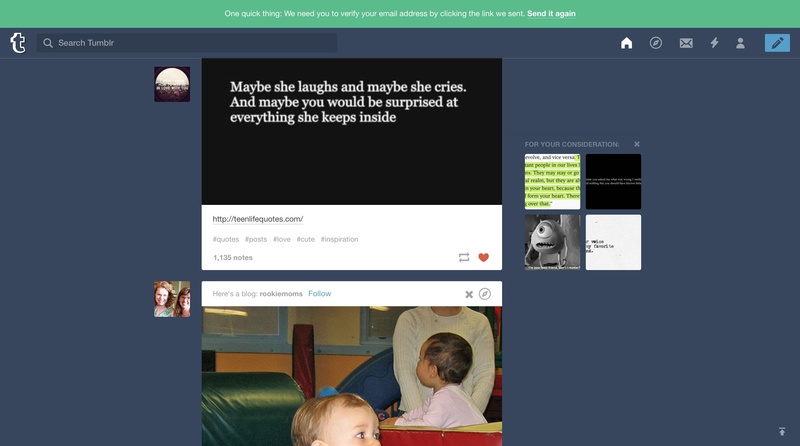 This delight works well with their personality.